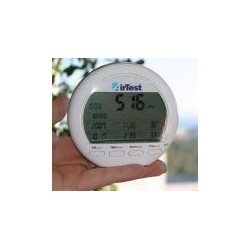 The Personal AirTest Monitor (PM2200) is an affordable, air quality indicator that provides the functionality of a desktop clock and calendar with a continuous indication of three of the most important indicators of indoor environmental quality: carbon dioxide, humidity and temperature. If desired, the monitor can provide an audible alert if concentrations are beyond acceptable limits. The large LCD display will also interpret the indoor carbon dioxide readings and indicate if ventilation rates are “good”, “normal” or “poor”. 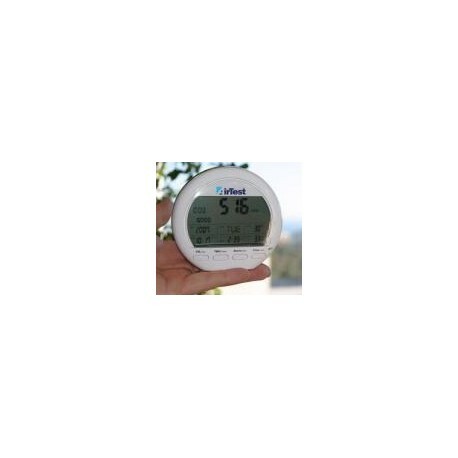 The Personal AirTest Monitor requires no maintenance or calibration and uses advanced sensor technology previously only available in professional air quality diagnostic equipment.